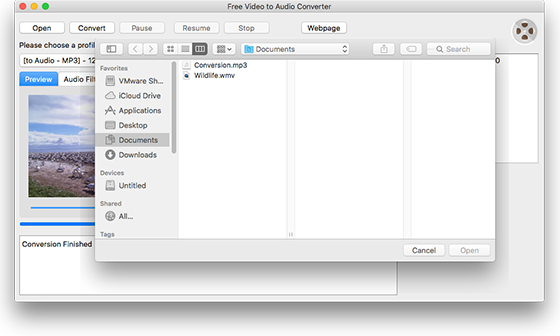 Download Free Video to Audio Converter for Mac and make video to audio conversion on Mac much easier! 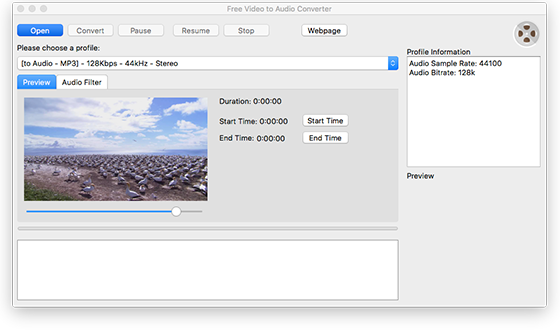 Whenever you want to convert video to audio on your Mac OS X, come to this excellent app, which is the most popular one on Windows and now available on Mac. It is developed based on Mac users’ habits and highly optimized for Mac system. Have more multimedia fun on your Mac. The video will be loaded in the program window in no time. After that, choose an output format for the converted audio from the bar of “Please choose a profile”. 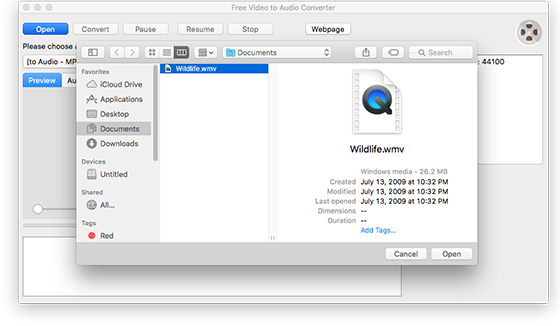 If needed, you can use Free Video to Audio Converter for Mac to cut audio from video. When you are done, just hit “Convert” button to start video to audio conversion process. A few seconds later, click “Open” and you can directly find the converted audio in the source folder with the same name as the original video’s. You are also allowed to specify the value of volume and echo in “Audio Filter” tab to suit your needs.